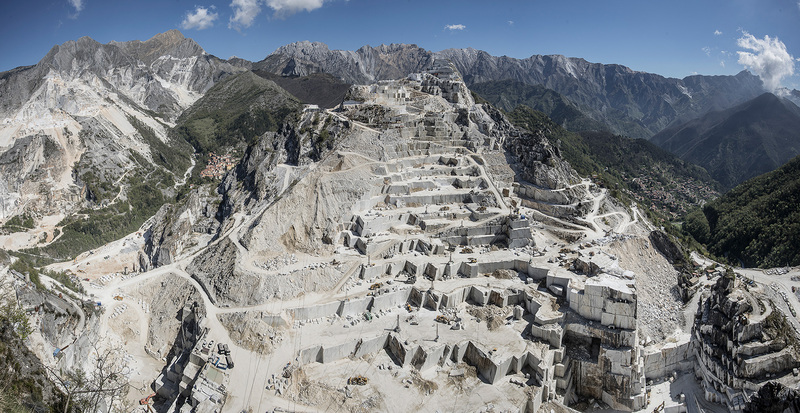 The marble quarries of the Gualtiero Corsi Srl are in the quarry of Colonnata, in Carrara in Tuscany. Highly valuable marbles are extracted from our two Carrara quarries, which are traded in blocks with DPO (Declaration of Performance) and CE markings. A historic quarry from which materials of great charm are extracted such as Bianco Gioia, suitable for architecture and interior design. From this quarry, important materials are extracted such as White o and Veined of Venedretta and the Paonazzo from which objects of high level of design are created.